Butterfly milkweed is a perennial wildflower native to a large portion of North America. 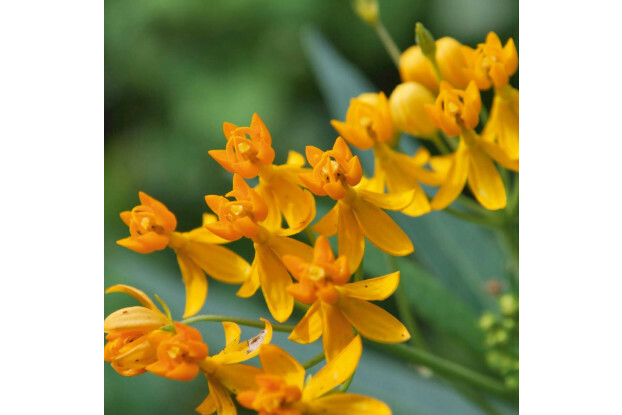 It can grow up to two feet tall and has a bushy growth habit topped by large, bright-orange flowers. Blooms from June through September. It has good drought tolerance and prefers well-drained sandy soils. Like its name suggests, butterfly milkweed is especially good at attracting butterflies and other pollinators. Excellent choice for water-wise landscaping, pollinator gardens and native wildflower plantings.